Have you ever wondered how DC women entrepreneurs express digital sisterhood in their businesses and relationships with their fellow women entrepreneurs? 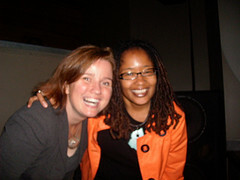 Check out the SlideShare presentation below that Ananda Leeke used during her Ignite DC #8 talk on October 8, 2011. When you are done, tell us what you think in the comment section. Thank you in advance for sharing! Great News! Ignite DC #8 will feature Ananda Leeke’s five-minute talk about “Digital Sisterhood for DC Women Entrepreneurs” on October 20. Click here to listen to Ananda’s Cinch audio blog about the event and several key topics she will share in her talk. 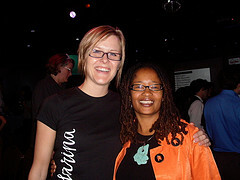 Read her Ignite DC interview on Geoff Living’s Posterous blog. Sixteen amazing speakers will participate in the event held from 6:00 pm to 10:00 pm at Town Danceboutique, 2009 8th Street, NW, Washington, DC. Click here to register for the event. If you miss the event, stay tuned for photos and a video of Ananda’s talk. They will be posted late October. Join us in affirming the success of Ananda Leeke’s IgniteDC #8 proposal for a talk on “Digital Sisterhood for DC Women Entrepreneurs.” See a description of her talk below. 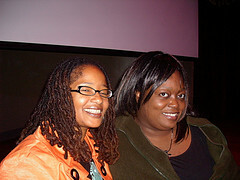 It is based on her upcoming book, Digital Sisterhood (December 2011). Click here to read the other fabulous proposals. The submission deadline is September 20. IgniteDC #8 will be held on October 20 at Town Danceboutique, 2009 8th St NW at Florida Avenue, NW, in Washington, DC. Click here to register. 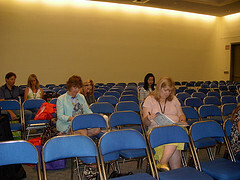 According to BlogHer’s 2011 Social Media Matters Study, 87 million women (18 to 76 years old) are now online. Sixty-nine million women use social media weekly. Eighty million women use social media monthly. Fifty-five million women read blogs monthly. Now that’s digital sisterhood! Digital sisterhood is the feminine currency women use to create relationship wealth through the connections they make, conversations they have, communities they build, causes they support, collaborative partnerships they establish, and commerce they engage in with women they meet online and offline. The relationship wealth of digital sisterhood is based on what women care about and their shared interests and experiences. How do DC women entrepreneurs cultivate and strengthen their digital sisterhood relationships in their entrepreneurial efforts? What happens when they tap into the power of digital sisterhood in their businesses? How do they use digital sisterhood as a business model? What lessons have they learned from their digital sisterhood experiences? 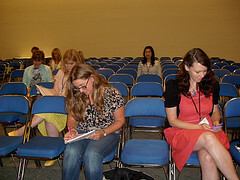 When the BlogHer team invited Ananda to lead a Wellness for Bloggers session at the 2011 conference, she got really excited. Why? Because Digital Sisterhood Network promotes self-care and encourages women in social media to unplug from their tech lives and tools each month on Digital Sisterhood Unplugged Sunday, and to use yoga, meditation, Reiki, and other self-care and fitness practices to manage their time online and offline. Ananda’s Wellness for Bloggers session began on August 5 with several breathing and office yoga exercises. Check out a description of the breathing exercise below. Feel free to try it. Also, click here and listen to her audio blog preview of the session which offers a breathing exercise. Finding a comfortable seated position in your chair. Come to the edge of your chair and place your feet flat the floor. Take off your glasses and shoes to relax. Create hip width distance in between your legs. Inhale through your nose and take a deep breath. Exhale through your mouth. Repeat this breathing exercise seven times and keep in mind that when you breathe intentionally and deeply, you invite yourself into the present moment. The more you breathe intentionally and deeply, the more open you become to PEACE. When you have PEACE, you are free to IMAGINE. Your imagination helps you DREAM. Your dreams help you CREATE and INSPIRE others in your blog, business, career, and family. Your imagination helps you Dream. Your dreams help you Create and Inspire. 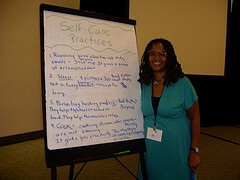 The session also included a journaling exercise and a discussion on self-care practices. Participants were asked to take four deep breaths and ask themselves what they need in their life to practice self-care. They were given five minutes to write about their needs. Click here to listen to Ananda’s audio blog recap which includes the seven self-care practices discussed during the session. 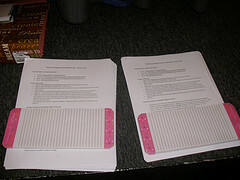 The session ended with the distribution of a handout (yoga and self-care resources) and a homework assignment. Click here to download a copy of the handout. 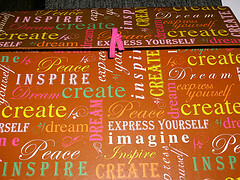 The homework assignment requested participants to breathe four times, write a six-word memoir that expresses how they felt in the present moment, and tweet the six-word memoir using the #blogher11 hashtag. Here are two tweets that participants shared on Twitter. Check out TITLE’s blog post and the positive feedback about Ananda’s session from the Twitterverse below. 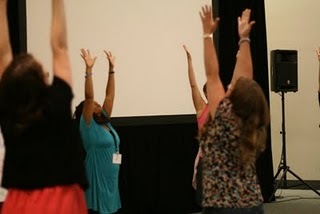 Great way to start a #blogher11 session: take off your shoes, close ur eyes & breathe deep. Bravo @anandaleeke! If you missed the Wellness for Bloggers session at BlogHer 2011, click here to download Ananda’s handout with resources and tips on how to incorporate breathing exercises, office yoga, and self-care practices into your daily life. You can also watch her office yoga videos (15 to 20 minutes) to get a taste of the class. Click here to watch the videos. Ananda is available to lead a Wellness for Bloggers workshop or office yoga session at your company or organization’s office, retreat, meeting, and conference. Contact kiamshaleeke@yahoo.com or visit her web site’s yoga page for more information. 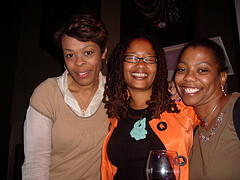 Digital Sisterhood Network founder Ananda Leeke, Kari Fulton, and Dr. Alla Tovares served as panelists for the Howard University’s New Media Symposium at Founders Library on April 6, 2011. Fulton is the National Campus Climate Challenge Coordinator for the Environmental Justice and Climate Change Initiative. Dr. Alla Tovares is a Howard University Professor and author of How to Write about the Media Today. Angela Adrar, an International Strategy and Communications Consultant, served as the moderator. composition course on new media entitled: New Media Writing and Race. The symposium’s goal was to have students learn from new media/social media experts and to further understand the possibilities of new media to support social causes and to enhance leadership possibilities. Watch videos from the Symposium below (filmed by Dr. Ada Diaz).